GAFFI has applied for itraconazole (capsules and oral suspension), voriconazole (capsules and intravenous solution) and natamycin 5% ophthalmic solution to be placed on the World Health Organization (WHO) Essential Medicine List (EML), in collaboration with colleagues from the Instituto de Salud Carlos III, International Foundation for Dermatology, London School of Hygiene of Tropical Medicine and The University of Manchester. Globally, over 300 million people of all ages suffer from serious fungal infections every year resulting in over 1.6 million deaths. Like malaria with 438,000 deaths and tuberculosis with 1,800,000 deaths annually (2015), many deaths from fungal infection are avoidable. Most serious fungal infections are ‘hidden’, occurring as a consequence of other health problems such as asthma, AIDS, cancer, organ transplant and corticosteroid therapies. All require specialized testing for diagnosis, and delays or missed diagnosis often lead to death, serious chronic illness or blindness. 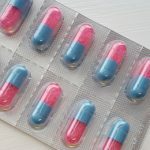 The antifungal medicines itraconazole, voriconazole are essential to reduce deaths and illness, and natamycin to reduce blindness, and they are very inexpensive in most countries. 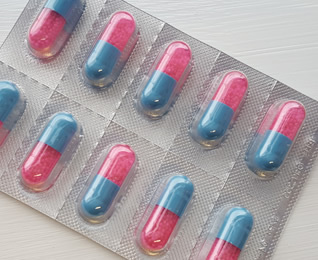 The proposed indications for itraconazole capsules are chronic cavitary pulmonary aspergillosis, invasive aspergillosis, histoplasmosis (therapy, primary and secondary prophylaxis), sporotrichosis, paracoccidioidomycosis, infections caused by Talaromyces marneffei (penicilliosis) (therapy, primary and secondary prophylaxis), chromoblastomycosis. These are all conditions in which fluconazole is ineffective. Itraconazole oral solution is preferred in late stage AIDS patients, leukaemia patients and children. The proposed indications for voriconazole are invasive and chronic pulmonary aspergillosis, with intravenous therapy preferred initially in invasive disease. The only indication for topical natamycin 5% in the eye is fungal (mycotic) keratitis and 3 randomised studies have shown it to be more efficacious than other topical medicines, given alone. There is currently no Essential Medicines listing for any preparation active against fungal keratitis.